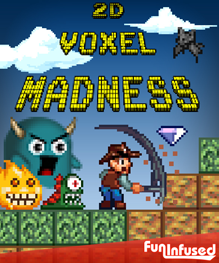 It's time for 2D Voxel Madness to the EXTREME! 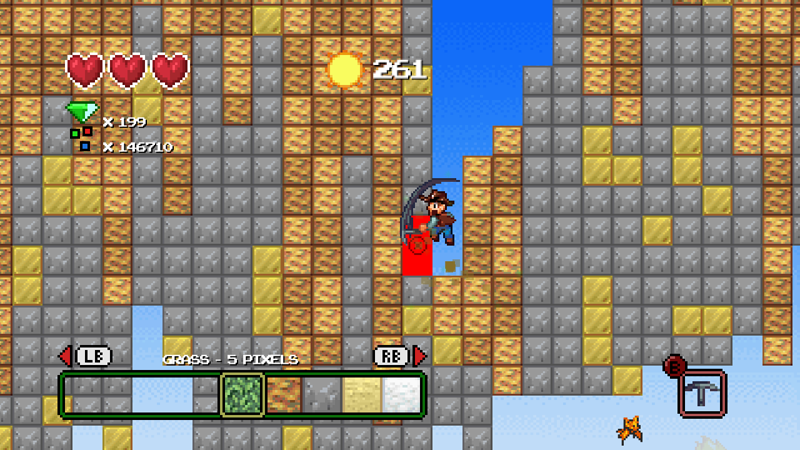 Build expansive worlds, fight evil enemies, and search for treasure in this 2D Voxel world. Nothing is unpossible as you fashion new worlds all your own. 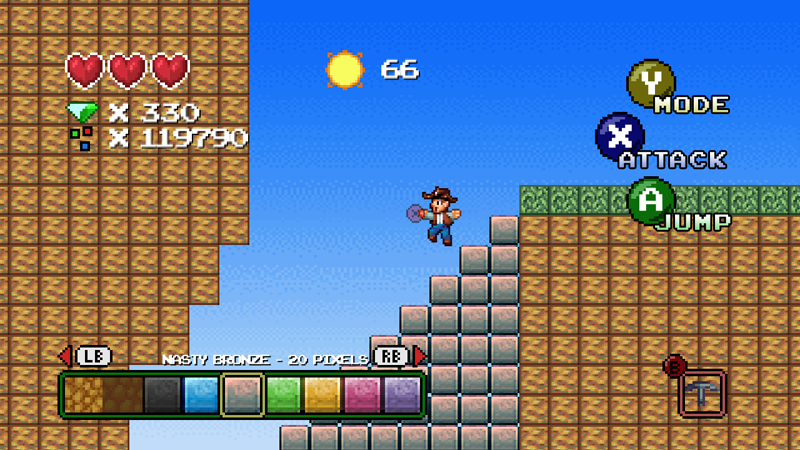 This is a great game to play if you enjoy platformers, mining, or fun. Resolved bug that prevented all purchased blocks from being available. 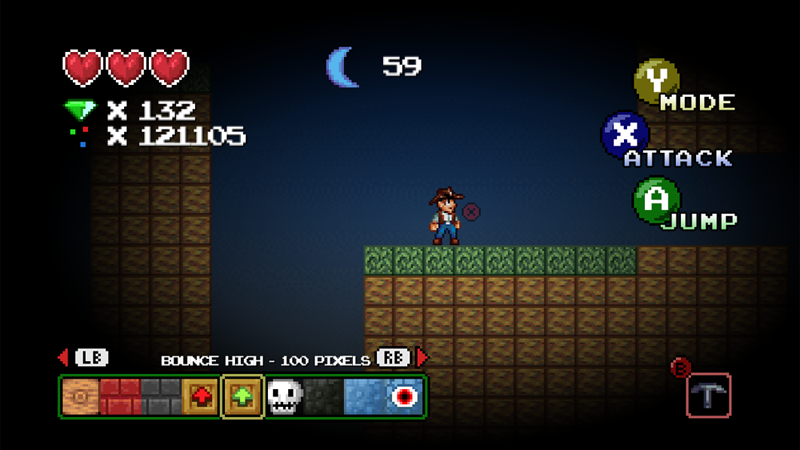 Added help menu that displays available controls. 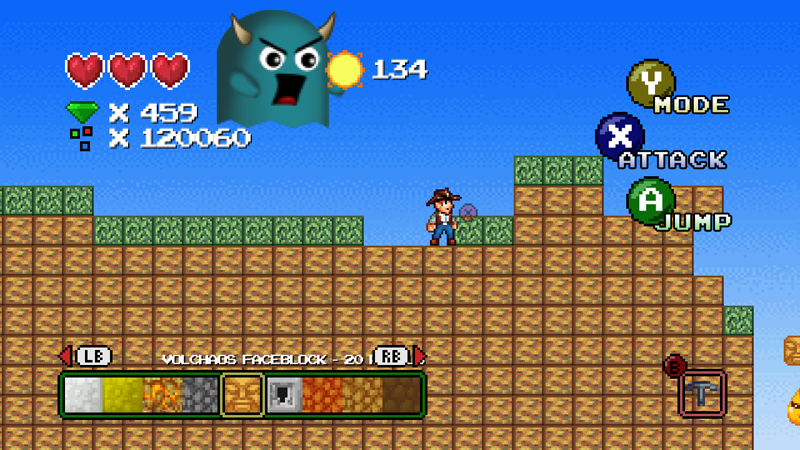 Added alternating color paterns to dirt. "The objective is straightforward and certainly less sophisticated than something like Terraria, but there's a certain charm in the way the game's protagonist can quickly carve a path through a series of floating islands."